Although the structure of assisted living in Vancouver, Toronto, St. John's, Halifax, or elsewhere can differ by provincial rules, one of the more reliable constants is the material considerations that need to be made when seniors prepare for the transition. Every assisted living arrangement for seniors assumes a certain level of autonomy and independence and this is represented in the types of items that are (or are not) provided by the assisted living home itself. With that in mind, here is a useful checklist of what you should be bringing for seniors moving into assisted living. Some of the following items are going to be large pieces of furniture. In the interest of saving time and energy (and mitigating the chaos that comes with any move), it is advisable to arrange for these fixtures to be moved in ahead of time. Not all assisted living homes provide beds with their rooms. Make sure you know what the size of the room is beforehand and select a bed that fits properly. As with any bed arrangement, check to ensure there is plenty of room to allow for safe maneuverability. A footboard and headboard are not strictly necessary, but if space allows and there is a desire, go ahead and include them. Obviously, you will want to bring sheets—at least two sets, ideally—blankets, pillows, and other elements of a bedspread. Having a place to keep your clothes is always useful and a nightstand provides bedside comfort and storage. The dresser or nightstand should be of a height that allows for minimal bending when trying to retrieve items on top in order to limit strain. Shelving units have natural storage uses for books, photos, clocks, radios, and other touches of home comfort that are important for helping a senior moving to assisted living feel more relaxed. Whether you use freestanding shelves or full shelving units depends on personal taste and space considerations. Clothes are an obvious item to include, but you should limit the number of items that are dry clean only. Try to include a mix of comfortable day clothes and maybe one or two pieces for when you want to dress more formally. Since this is a move-in day, you should focus primarily on clothes that will be suitable for the current season; you can add in winter or summer wear at a later point. The inclusion of a small safe is not strictly necessary, but it may be worth keeping in mind if you are uncertain about keeping personal or valuable items in your assisted living residence. At the very least, the safe may be used as a place to store important medical or legal documents. Microwaves, mini fridges, pots and pans, coffee makers, trash cans, dishes, glasses, and more are all potential items that can be brought in to a senior's assisted living home. Not all of these items will be necessary or useful, depending on whether the room has a kitchenette and your personal interest in cooking, but the potential should be kept in mind. The Care Guide is an online repository of information and guidance for seniors and their families that has been providing insights into elder care and housing solutions since 1996. 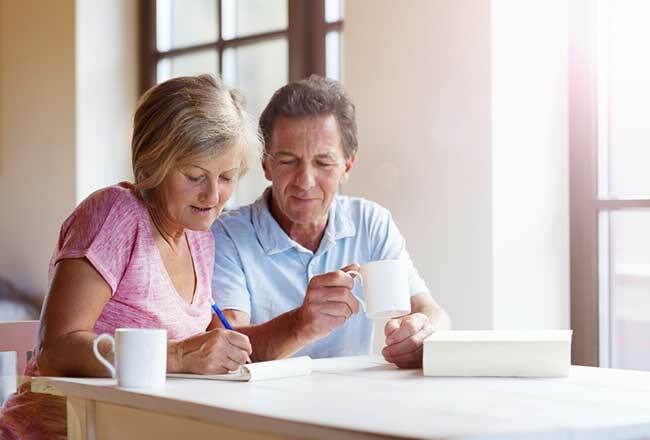 Our guide can be used to help determine the best living and housing options for you or your loved ones and offer important advice on how to successful make the transition into a senior living arrangement. More information and advice on senior care and living solutions can be found by contacting us at 1-800-311-CARE (2273) or info@thecareguide.com.